For forty-four years, Porsche, the most race winning car manufacturer on the planet, has refined the 911 model. 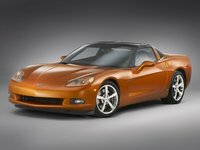 The 2008 model lineup represents the present peak of that refinement. As Porsche puts it, the 911 is "the precision instrument among sports cars." However, critics of the 911's layout - its engine hangs over the rear axle - call it a "terrible design, brilliantly executed." It has taken those forty-plus years and the automotive electronics revolution to make it brilliant. Having undergone an extensive revision in 2006, the new car is not your father's tail-happy 911 (actually, among Porsche aficionados this latest model is the 997). For 2008 there are two new trims: the Turbo Cabriolet and the ultimate 911, the GT2. 911s start with a horizontally opposed six-cylinder "boxer" engine. In the beginning it was an air-cooled engine, but as power demands grew, Porsche long ago adopted the advantages of water cooling. The boxer configuration permits a lower center of gravity than the typical vertical engine configuration, thus improving stability and handling. Porsche engines use a form of variable valve timing and valve lift (VarioCam Plus) to enhance power and torque. 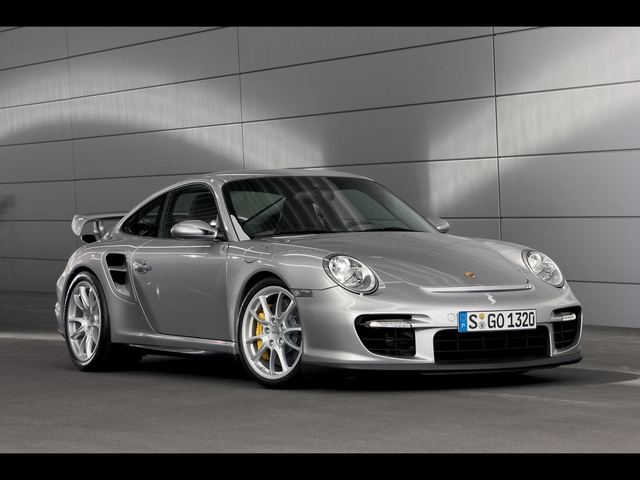 Their all-alloy engines are products of Porsche's extensive racing experience. Moving up the power chain, Porsche employs turbocharging to propel its faster 911 trims into supercar territory. 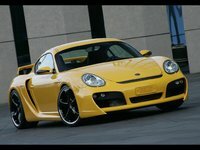 The 2008 engine lineup ranges from the base Carrera's 3.0-liter, 325-hp engine to the GT2's most powerful 911 production engine ever, the mighty 3.6-liter, 530-hp flat six. The engines are backed by a new six-speed manual transmission designed to take maximum advantage of the engine. Reviewers unanimously praise the transmission's short, precise throws and easy clutch action. An optional five-speed automatic Tiptronic S transmission with manual control capability is also available. In automatic mode, the transmission selects one of five different gearshift patterns, depending on driving style and the nature of the road. In manual mode, the driver can use steering-wheel rocker controls to change gears. The Tiptronic S will not upshift before entering a corner, nor will it shift in mid-corner. Under heavy braking, the transmission will downshift to assist braking, and an incline sensor improves uphill acceleration. If traction is lost in wet conditions, the transmission will upshift to restore lateral grip. Forty years of chassis refinement continues with further evolution of the 911's proven front McPherson Strut layout. A new and lighter development of the subframe-based multi-link LSA suspension (Lightweight, Stable, Agile) further refines the rear axle structure. The wheel track has been increased front and rear (varying according to trim level), with weight reduction achieved by replacing the previous steel rear suspension strut with an aluminum one. The 911 also offers Porsche Active Suspension Management (PASM), an electronic control system that provides continuous damper adjustment to maintain optimum ride quality with two push-button modes, "Normal" and "Sport." The former is more oriented toward comfort, and the latter has a much firmer range of settings for greater performance. PASM responds to changing road conditions and driving styles by varying the damping forces at each wheel. Yet even within its two modes, the system can change to adapt to road conditions. Thus if it's set on "Sport" and the quality of the road surface deteriorates, PASM will automatically revert to a softer rating in order to maintain grip and traction. PASM adapts the way the car handles and rides to the driver's driving style. The 911 is available with all-wheel drive that's tied into the Porsche Stability Management (PSM) system. With all-wheel drive, at least 5% of the engine's torque is sent to the front wheels at all times. Under normal conditions, the average rear/front torque split is 65/35. The intelligent all-wheel-drive system employs a viscous clutch that samples traction at all four wheels and can instantly transfer an additional 5 - 40% of the engine's power to the front axle, even on changing road surfaces. Porsche interiors are designed for serious driving. The steering wheel includes height and telescopic adjustment, while the interior has undergone further ergonomic organization to place controls within easy reach. A new multi-function steering wheel is offered for the first time as a 911 option. The front seats have been reengineered to provide more comfort and lateral support. The rear seats, considered by all reviewers to be humanly uninhabitable, fold down to add 7.24 cubic feet of storage space. Various sport seat options are available. Reviewers found the standard seating comfortable for both sport and long-distance driving. Standard safety equipment includes six airbags (dual front, side and head), antilock disc brakes, and traction and stability control (except in the GT3). Porsche Stability Management (PSM) employs a range of sensors that monitor the car's dynamics. It can correct for both over- and understeer conditions. The system can be turned off for fuller appreciation of the 911's road-handling qualities, but will intervene under heavy braking when at least one front wheel requires ABS assistance. The Porsche braking system is race-bred and one of the most effective available. What's your take on the 2008 Porsche 911? Users ranked 2008 Porsche 911 against other cars which they drove/owned. Each ranking was based on 9 categories. Here is the summary of top rankings. 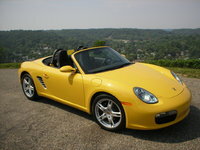 Have you driven a 2008 Porsche 911? Shifting car in first and second gear is sometimes hard. The other gears are fine no problem.